Quebec Plans To Welcome 52,500 Immigrants Per Year By 2019 - Canada Immigration and Visa Information. Canadian Immigration Services and Free Online Evaluation. Quebec’s immigration minister has outlined her plan to increase the number of immigrants coming into the province in a careful and considered way between now and 2019. Kathleen Weil intends to bring in an extra 1,000 immigrants in 2017 and 2018, bringing the total to 51,000 for those two years, before increasing it to 52,500 in 2019. The announcement is a step back from an initial plan to welcome 60,000 new immigrants from 2017, but it is an indication that Quebec’s Liberal government understands how important immigration is for economic prosperity. Quebec is battling a naturally declining working-age population. People are getting older and retiring, and there are not enough coming into the work force to replace them. This is down to the province’s low birth rate, combined with high out-migration within Canada. Businesses are feeling this the most, with a lack of young, skilled workers coming through with the type of modern credentials fit for modern requirements. Weil accepts that immigration is the answer, although these blue-chip individuals are sought all over the world, meaning competition is fierce for the best of them. 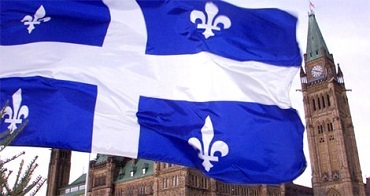 For more information on Quebec immigration, click here. Weil points out that big strides have been made in lowering the unemployment rate among newcomers, from 12.4 per cent in 2011 to 10.7 per cent in 2015, but more needs to be done to integrate these individuals into Quebec society. The government’s new immigration strategy, together with a budget of $42.5 million, brings with it the type of selection currently seen at federal level with the Express Entry system. Quebec wants to select immigrants based on the needs of businesses, not just in the province as a whole, but also drilling down to local level in matching candidate profiles to the jobs that are available. Such a strategy should have a direct impact on the immigrant unemployment rate. Much of what Quebec has been doing in recent months mirrors the actions taken at federal level. Weil has conducted a series of public hearings on immigration, just as federal Immigration Minister John McCallum has done in the rest of Canada. This has allowed a number of key stakeholders to have their say on the future of immigration in the province. The results of the federal consultation are expected in the fall, but Weil has drawn the conclusion already that significantly more international students who graduate from Quebec universities will be welcomed as new permanent residents. At the same time, she says the right temporary foreign workers who want to make Quebec their home will be given chance to do so. This emphasis on candidates who are already in the province, meaning they have gained real life experience, seems to be sound thinking. Key attributes for integration include knowledge of French and foreign qualification recognition, according to Weil. She wants to make language programming more accessible to new immigrants in a variety of places, including online and in the workplace. There is also work being done to improve how foreign qualifications are treated by Quebec employers. Overall, Weil’s view represents a recognition of the importance of immigration to Quebec. Although her numbers are somewhat watered-down from the initial plan, the crucial work needed to integrate those already here will make a big difference if completed properly.